"Is it organic?" That's one of the questions we commonly see in posts featuring beauty products. While I'm definitely glad that the awareness exists, there are many misconceptions on what constitutes an organic product. Using aloe vera that you harvested from your own garden, for example, doesn't mean it's actually organic. If you're seriously looking to change up your regimen and go the organic route, here's what you should know before you make the switch! So, what does "organic" really mean? On its own, the term “organic” is meaningless. There are certifying agents that issue organic certification, meaning that the plant-based ingredients in the product were grown according to certain regulations set by the agency. Different agencies have different requirements for their organic seal, focusing on agricultural practice rather than safety. Safety is the domain of the FDA. A product MUST have certification from an accredited body to be considered organic. A lot of brands will throw the label around to get you to buy their product, but without certification, it's nothing more than a marketing scheme. A product's safety, eco-friendly practices, or even "all-natural" formulation is NOT ensured without certification. How does a product get organic certification? You're probably familiar with the USDA seal. As an agency, the US Department of Agriculture aims to grow their agricultural industry as a whole - not just the organic sector. It is one of the most recognizable seals for organic certification, though other countries typically have their own governing body. ECOCERT, for example, is based in France and focuses on environmentally responsible practices. In the Philippines, we have the Organic Certification Center of the Philippines (OCCP), which aims to develop our organic sector for export. In general, organic products should be grown without the use of synthetic pesticides or products and should adopt eco-friendly practices from production to packaging. Organic products can contain certain synthetic ingredients, but the percentage of these ingredients affect how the product is labeled. How does "organic" differ from "all-natural"? Unlike "organic," "all-natural" does not necessarily require certification. Absolutely any brand on the market can call their product "All Natural" whether it contains 100% natural ingredients, 1% natural ingredients, or no natural ingredient. A product can be certified natural, but the regulations generally aren't as restrictive as organic. "Botanical" is a similar buzzword, meaning plant-derived. No. Safety isn’t even the goal of these certifying bodies. "Organic" pertains to a movement for plant biodiversity and eco-friendly practices - NOT safety. Safety is determined by the FDA and organic products are not exempt from approval. FDA approved does not mean organic, and organic does not mean FDA approved. FDA approval and organic certification are two completely separate processes. “Organic” is not a reliable label to determine safety, nor does it imply that a product is “all-natural.” Even the US FDA states clearly on their website that organic products can still be toxic and allergenic. How do I know if a product is organic or all-natural? Unless the brand can produce a certified organic seal, take any claims with a grain of salt – even those that claim to source their ingredients from certified suppliers. As shown in the infographic above, there are strict labeling regulations in place. Check for the USDA seal, certifying body, and specific organic ingredients (usually marked by an asterisk). 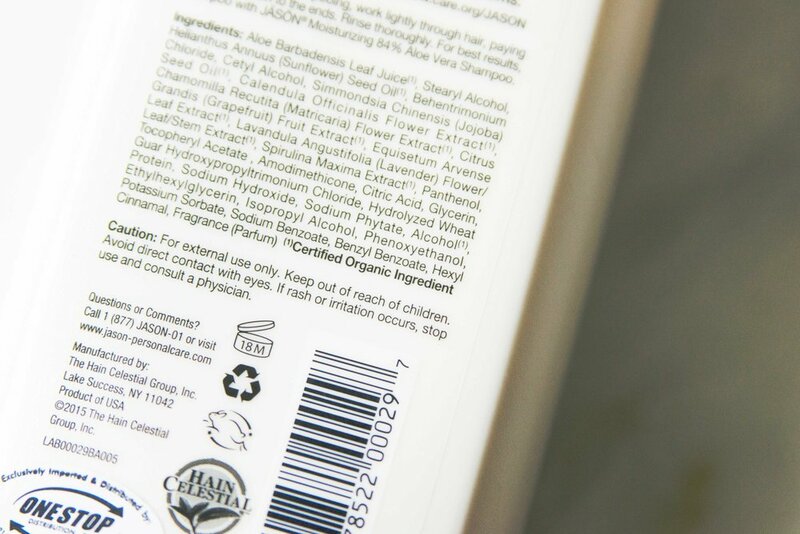 With natural, however, you can simply check the ingredient list if the product is not certified natural. That does require a bit of familiarization on your end, but if the natural label is really important to you, it's the best way to know for sure. Where does the organic movement stand in the Philippines? Greenwashing is very strong in the Philippines, but the organic movement itself is quite weak. Certification is very expensive and just out of the question for many of our local farmers, even if they follow organic practices regardless. For cosmetics, you’ll encounter dozens of brands claiming “organic” when it’s clear that they aren’t. Always take organic claims with a grain of salt unless they have certification. For those that claim to source their ingredients from certified sellers abroad, I argue they’re actually doing more harm than good. The Philippines is actually a pretty big exporter of raw materials, and for a brand to source abroad what is already available here (1) goes against the environmental advocacy of the organic label and (2) patronizes foreign industries and farmers when they have an amazing opportunity to support, improve, and further the local industry and our endemic ingredients. Is the organic movement worth supporting? Absolutely. The organic movement is doing an amazing thing supporting environmentally sound practices. However, always ensure that the brand you decide to patronize actually walks the talk. Companies that claim organic and/or natural without adopting eco-friendly practices only intend to sell. Be wary and make sure to research thoroughly. In the Philippine context, there are honestly much better labels to support – both for you, the environment, and your country. What are some words to watch out for? Chemical-free and toxin-free. Both of these are blanket terms (and a misnomer) for a slew of possibly irritating or harmful ingredients. They’re usually meaningless unless the toxin is specified, and used more as a buzzword or marketing tactic than to educate consumers. What are some words to look for instead? And sometimes, organically grown - Specifying which ingredients are organically grown rather than calling a whole product “organic” can denote a better understanding of the organic movement. As mentioned, organic is about how the ingredients are grown rather than the end product. What are better practices to focus on? I argued earlier that there are better labels to support than “organic.” If safety is your concern, what you need to consider first and foremost is the empathy and concern of the brand towards their consumers. Remember that it is MUCH easier to support foreign and claim that natural/organic is better. For a brand to consciously and intentionally choose to go local, adopt sustainable practices, and advertise honestly shows a genuine concern for you, the people around you, and even the next generation of Filipinos. What are some local brands with certification? Human Nature's products are certified by the Natural Products Association while Leyende uses ingredients with ECOCERT certification and approval. And if you’re interested, a few other social enterprises worth supporting are: Pili Beauty, Kala Milk, Kaya Essentials, MyPrime, Ysabel’s Daughter, and Organic Alley. The organic label stands for eco-conscious practices, NOT safety. Organic products MUST be certified to be labeled organic. There are better labels to look out for when vying for safety and responsibility. If you do decide to support the organic movement, do it because you care about the environment – NOT the misinformed idea that it is better or safer for you.